Jenrry Mejia Suspended 80 Games without Pay due to use of PED’s. 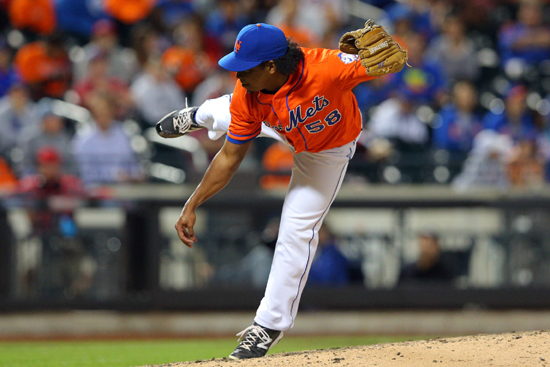 Jenrry Mejia was tested positive for Stanozolol, a performance enhancing drug that has been around for a while. Mejia was previously injured from an elbow injury, which was supposed to sideline Mejia for at least a few weeks. Mejia will now miss half of the season, effective immediately. In the interim, Jeryus Familia is scheduled to be the closer. It is not known if Bobby Parnell will become the closer when he returns from Tommy John Surgery, I assume it will be based on Familia’s performance in the closer role.